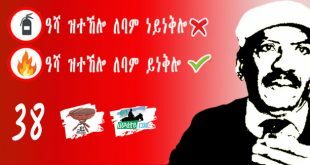 Thank you for your effort to oppose this destructive regime in our beloved country, Eritrea. You are on the right side of history. I live in Colorado. I do see the support for the regime is waning. Eritrea needs honest and courageous writers, like you. 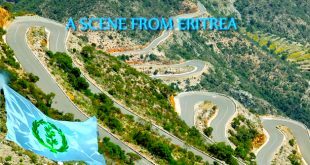 I have been reading your articles for a while and clearly reflect the situation Eritrea. Keep it up. One thing i would suggest you though, please, everything you write it has lead the Eritrean people to unity. Eritrean people needs good writer , like you and other, to challenge them to think as Eritrean and that way we can get our God given freedom. Intellectuals are products of their own time. This may sound a bit of a trite but the implication emphasizes that, to understand intellectuals, it is much more easier to scrutinize the times they had lived in. Hannah Ardent is not an exception either. She came of age when Germany was in turmoil where Ardent’s titanic intellectual forte was shaped up by the detrimental consequences of World War I as the outcome of the war left Germany with tremendous national debt that the nation was made to pay back– a verdict rendered by the victors. More over, Germany as well lost huge swaths of land to the victors where the loss added a sense of radicalism, xenophobia and ultranationalism that was already lurking in and sprouting with in the population as minorities were targeted as scapegoats where Ardent belonged to the latter. The irony is the very great minds who challenged the unbridled political power of the state hailed from Germany. For instance, Immanuel Kant in one of his pioneering works talks about “Free Will” where Man is endowed to exercise the Free Will unconstrained. But of course, the state where Hobbes calls it “Leviathan” impedes Man from doing so. That is, the state or Leviathan is in a constant tension with the Will of Man. Sure enough, the intellectual rationale behind the need for a Leviathan is brilliantly illustrated when the nature of Man is taken for a savage. To be more precise, if Men or group of Men exercise their Free Will, the animal instinct in Man will be unleashed and the manifestation of life as “solitary, poor, nasty, brutish and short” comes in a full swing. But again, as Fukuyama put it, to escape from this perilous situation, human beings agree to give up their natural liberty to do as they please in return for other people respecting their right to life. The state, or Leviathan, enforces these reciprocal commitments in the form of “Social Contract” by which human beings protect those rights which they have by nature but are not able to enjoy in the state of nature due to the war of every Man against every Man. The government or Leviathan secures the right to life by securing peace. It is prudent to keep in mind that, when Leviathan focuses on political power, rule of law limits it. Against this intellectual backdrop, one can have a sense of grasp of the totalitarian state Ardent came to write extensively with an intellectual vigour. To be more precise, Germans particularly the intelligentsia community betrayed their integrity by helping the Nazis to come to power as the former not only emboldened its allegiance to Leviathan but worshiped it to the extent of weakening the rule of law–the very institution that is supposed to limit the power of the Leviathan hence Totalitarian. Addis Abeba (also known as Addis Town, or more simply, town). Nothing-is over 3000 years old. Djibouti(the age structure of the Horn), but still a town would not be thinning out. Who can say how Saleh would have reacted to all of this, after more than ten years on the air? 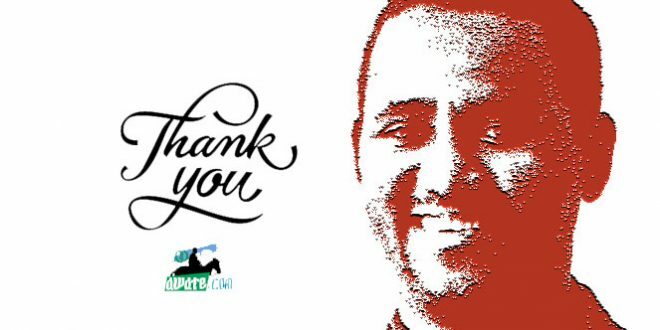 For many years, the answer to any question, at this stage was, “What would Saleh have done? Critics, evidence, imagination, serve…as real leader or as a statesman? As Swedes say, “Dansen kring guldkalven” This is a personal pencil test. You make perfect sense. I don’t understand why people don’t understand you. You’re messing with him. Right? The guy never made any sense at all. All he does is either blabber or gossip about people like there is no tomorrow. Nitricc, (RIP ) ante netraca!keep on crying about the border issue even your retarded dictator forgot about it. Last time I checked no one is fleeing from badime .mognina wereket yeyazewn aylekim. Ethiopians have forgotten Eritrea long time ago . The new generation of Ethiopia don’t even know you. It is very bad that Eritrea has a lot of you grew up consuming and dispensing hate and arrogance.l am now extremely happy that you are gone. 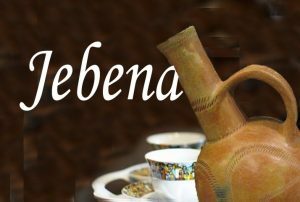 (gone, gone, gone,good bye)!wake up and smell coffee if you find any.btw,do you have any idea how many eritreans regret their independence. They tell you derg was much, much better than the current gangsters of human traffickers.shame, shame, shame.you should hide. 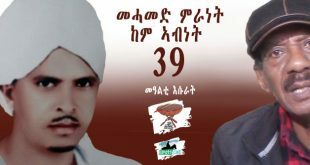 Try as I might, I could never fathom why it is those on the side of Eritrean government feel the need to use pen-names. 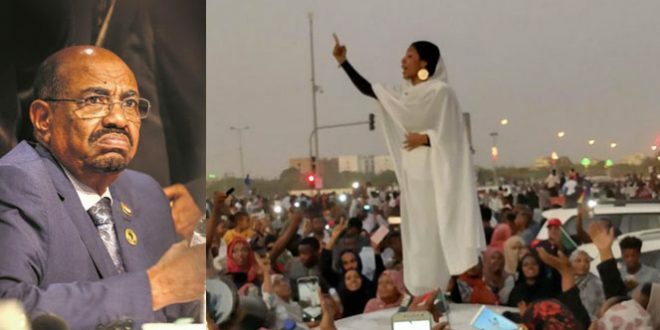 It is obvious enough for those who oppose the government, the repercussion for their family members in Eritrea could end up being too much of a sacrifice, which is unequivocally reasonable and understandable. But, such is the nature of Eritra’s political beast. Those who should be fearful reveal themselves as they show bravery and those who do not have anything to lose are so cowardice and hide behind QomimishTi of pen-names. Be that as it may, a number of years ago, my niece went to SAWA and around Eritrea from Europe. 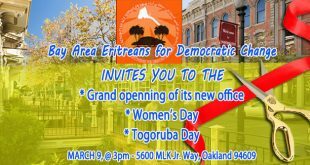 These European-Eritreans, American-Eritreans, any other hyphenated Eritreans have issues of identity formation, sociopolitical circumstances that uniquely applies to their respective situation and specific personal matters that compels them to visit Eritrea. So,some even send their kids when they find that their offspring were straying from the norm of the society in which they live as, say, in getting involved in gang or behavioral matters that are untoward, the end result to which is invariably death or prison or simply put, a cul-de-sac to nowhere; and parents as a desperate measure send their children in hopes of SAWA reforming and redeeming them and somehow making them realize how good they have it in their respective homes. Sure enough, there are myriad anecdotes that one can cite as an example of such success stories that SAWA helped interrupt such potential personal disaster these kids could’ve fallen into had they stayed in that predictable trajectory, to the dead-end. My niece was not in trouble but few years after the SAWA visit along with other kids her age decided that she was going to pursue college education in the U.S. Part of that major reason for deciding this trajectory had to do with the way Europe in general and Scandinavian countries in particular refuse to accept her and her likes with hyphenated identities as one of its own. Thus, when these kids came to Los Angeles area I spent a great deal of time helping them get situated to the new environment; I began to understand what it is that compelled them to spend so much money as international students when they could go to college in the Scandinavians for free or for very little tuition fees. Well, the resounding answer was because of this identity issues that these countries to which they were born didn’t quite accept them as its own. Part of that process of finding themselves, these kids make the journey to the homeland (places like SAWA) to understand their heritage. And quickly these kids find out that there is “no there there” in SAWA for hyphenated Eritreans either. Therefore, in search of that elusive identity these kids make an attempt to find themselves in places like the U.S. where they are readily accepted into the world of anonymity and individualism, a place where they can function like any other human beings. The sense of relief these kids feel when no one questions their identity other than this sheer curiosity trying to figure out how it is these Iranian European, Columbian European, Eritrean-Finish-Swedish, Arab European, Somalian European, and European-European, Eritrean European speaking one language other than English. It was quite a scene to see even for me let alone for an average American to wrap their head around it. As for the character Sara in your book, I found her to be on the flip-side of my niece in that she was trying to fathom what these hyphenated Eritreans saw in SAWA. But, of course, such skin deep question as issues of identity could be the reason that was not answerable by one quick visit by Sara. Sara would’ve needed ample time to make sense of the topsy-turvy world she finds herself in, where on the one hand, here are these hyphenated Eritreans with a choice, deciding on their own volition to grace SAWA for a brief period of time; and on the other hand, here is Sara who has no choice but to fall into that spiraling world of uncontrollable eventual demise to her person and to her future; but must fulfill if she is going to have menQesaQesi within Eritrea and perhaps to the world outside it. If the two-per centers in the Diaspora felt they were in a bind, well, for these young Eritreans, SAWA is either a beginning of freedom to flee the hell out of that hell-hole, because they are able to move around once they fulfilled such a mandate or it could end up being an end in itself where they will stay in this perpetual indentured servitude. There is no rhyme or reason to the madness and the arbitrary nature of SAWA. So, the whole point of Sara’s character for me was to illumine the oxymoron world young Eritreans within Eritrean proper find themselves in this indecipherable world, a world that force conscript them as a path to a long winding indentured servitude. And it is these kinds of characters who help the story move along while at the same time opens the reader’s eyes to a complicated and highly intricate and convoluted system that young Eritreans find themselves in; out of which seems equally complex, so complex in fact the corollaries have been tragedies at high seas and despicable experiences of the Sinai desert tragedies that you, Saleh, as a story teller, as writer helping us along as we try to make sense of it. Saleh, I don’t think you will be able to educate everyone and each person who lacks the fundamental understandings of what literary devices are let alone literacy. We have plenty of educated-illiterates who do not grasp the works of literary endeavors. I don’t envy the Eritrean artist, a writer, a wordsmith like yourself must suffer financially & socially because the audience to whom you try to communicate just shows very little reciprocity and/or appreciation or even understanding for what it is story tellers like yourself try to do. Good luck on that! I was naive enough not to think you would twist facts in support of your “camp”. To write so much non-sense on faulty arguments is something that strikes me to be quite desperate. Haile that makes you look a bottom feeder. Come on my dude, you are better than this. You don’t have to blend in, stand out. I dare Awate to allow this video to its followers, as a free and independent source of information. Can you Prove it? Eritrean doesn’t have to suffer under H/selassie to demand independence. Let me give u one Abinet,sis Abinet. If a child was abandoned to suffer for sixty years under slavery,and when his owner let him free,and started the taste free dom,the biological father turned up,to claim his son he can’t even recognise,and his children and grand children. 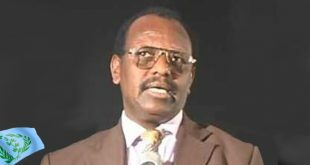 Dear Abinet,as smart as you are what do you think?the problem is deeper than that,what Atse Haileselasie did was handeled it badley,and created Eritreans to rebel.We should have fought to librate them from fascit Italy as they have fought on our side.Remember Zeray Deres? 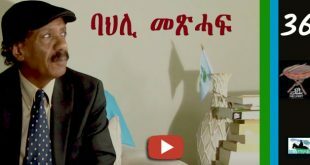 All the hate you mention was mostly installed by Issayas Afewerki to scare the population and accelarate the fight.Now the hate is turning to himself any way. They do not have to love us anyway.we are not Angles Abinet.If Expect love and unity,we to understand the root of the cause,not half way. Thankyou for patient,appologise if I am wrong. 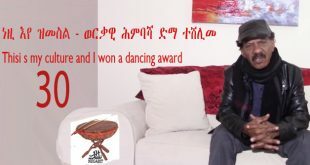 Tamirat, do you realy think that eritreans ever stop hating Ethiopia and Ethiopians? In my opinion it will take a generation. They have been trained from early age . (amhara metabih,amhara belabih,amhara wesedebih …tor serawit metabih……)l also think that the dictator is using this against them because they will never be united to challenge him as long as he is not an Ethiopian.l don’t think they suffered this much under the king for them to start armed struggle. Ya, i do think so, if the teaching is stopped at least in a government or political party level. Look now in Ethiopia how eritreans live. Do you know that since 2009 i think any erirean in the refugee camps can get every opportunities like any average ethiopian (can work hard and survive)if he or she has any Family or Close person to go to in any part of Ethiopia? It is not some thing to brag about to get work and residence permit in Ethiopia, but having the Choice what matters, Abinet. Abinet my sister, no Eritrean I know hates Ethiopia. 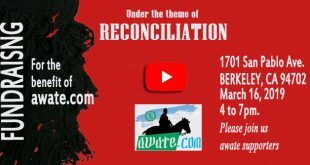 Why don’t you ask the Ethiopians to Horner their word and get out from Eritrean land? Can you do that? If any Eritrean hates the Ethiopians is because they are liars. 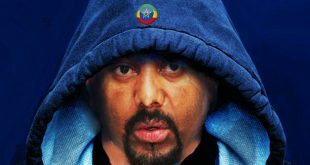 Once your master PMMZ, said if PIA to get a legal verification that Addis Abeba belongs to Eritrea, he will give up Addis. Let’s bring genetics to the fore so that we can have a broader understanding about the issue at hand. As you know a person inherits 50% of his or her genes or DNA from each of his or her parents (read: Inclusive Fitness). By extension the person shares with his or her siblings half of the genetic make up that he or she inherited from her or his parents. The inheritance decreases by half (25%) with in the first cousin and second cousin (12.5%) and so on. This powerful evolutionary mechanism gives rise to the notion of reciprocal altruism where family members care and stick to each other in time of detrimental circumstances. The gesture extended by the Good Samaritan to a complete stranger could be explained by the notion of Nurture as opposed to Nature. With in the discourse of state-building, members of a society particularly tribal or patrimonial societies remain strongly connected to their families as opposed to the common good of the entire society. To be more precise, strong family ties gets in the way of state building. The question of transforming societies from a strong linkage of a family to an allegiance to a state becomes challenging. To understand the main factors that had helped transform societies from tribal or patrimonial to a state as we know it today (rule of law, accountability, judiciary and other institutions) has become the playing field of competing school of thought ranging from Hegelian (clash of ideas as the main forces of history–thesis, antithesis which gives rise to synthesis); Marxian (Dialectical Materialism where modes of production or forces of production as the main forces behind history); Hayekian (Spontaneous evolution with in a society); religion (Max Weber–Calvinism in continental Europe, Brahmins in India and Confucianism in China). With in the stated school of thoughts, the idea of religion as the main trajectory in state building where it is seen in the influence of the Brahmins in India and Confucianism in China gained more credibility as opposed to the other school of thoughts. That is, the Brahmins emphasized on a phenomenal world where allegiance of members of the society to a man-made state was taken for superficial and subjecting oneself to a mirage or a reflection of the Real. In short, Brahmin teachings discouraged members of the society focusing in here-and-now where the focus and objective of the state is in here-and-now. By the same token, Confucianism as well emphasized on hierarchy with in a family where children are fiercely expected to obey their parents more than any other power including the state. That was more or less the reason, it became challenging to build a state in India and China through out the centuries. That is, as the state actors tried to turn the allegiance of the people to the state, the more powerful religious dogma instilled on the people got on the way as the people found it difficult to serve “two masters” as the same time so to speak. As I tried to elaborate on a similar thread, the Abbasids and later on the Ottomans in an effort to build a strong state, developed a policy based on taking away young people aged 12 to 20 from their families who had been recently converted to Islam for slaves. One thing we need to keep in mind is that, when we say slaves, the meaning of the term is completely different from the slavery we came to know in Europe or America. When the children were taken away from their families, they would go through rigorous training for years where they remain not only loyal to the Sultanate but some of them climbed the military ladder and became Sultans. This is in a sharp contrast to the savage nature of the slavery which was exercised by Europeans. Here again, the intention of the Abbasids or the Ottomans was to render society solely loyal to the sovereign or the state. The above stated as a historical backdrop or precedence, YG’s argument or rather onslaught on the pioneers or authors of Gedli can be seen on a different light and in a different angle. 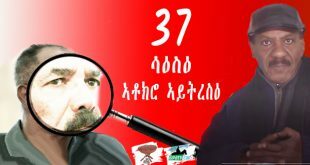 To be more precise, it is safe to argue that, the authors of Gedli might have found it too difficult to make the Eritrean society commit itself completely to the cause where family allegiance transcended allegiance to the cause, a cause that was trying so hard to claim legitimacy not only political legitimacy but as it found itself fighting a formidable military power. I see that you are well-read in many subjects, from medicine to history to philosophy . I wonder if you have read “The Origins of Totalitarianism ” by Hannah Arendt. Just as you brilliantly discussed in your comment about the dichotomy of state and family , Hannah Arendt, in a similar fashion, has this to say on page 46 of her book: “The Nazi dictatorship has been so frequently connected with “state worship” that even historians have become somewhat blind to the truism that the Nazis took advantage of the complete breakdown of state worship, originally prompted by the worship of a prince who sits on the throne by the grace of God…” Here, she implies that allegiance to a state succeeded worship to a king/prince. Similarly, PFDJ , at the beginning, may have sought to build statolatry, worship of state, before family ties became stronger than allegiance to EPLF/PFDJ. It is this contradiction that may have prompted PFDJ/EPLF to resort to brute force.